Genre: women’s Fiction, Literature and Fiction. Strange how fate works…I’ve just read two books that were romance, were about cheating and the effects it leaves and yet they were very, very different reads. Both kept me gripped to see what happened, had me totally unsure of just how they would end, and were five star reads. Not ones I’d reread but certainly a terrific one off read. So poor Effie, heartbroken by Smith, a complex character, one of those non committal types, always on the edge of the Law, always leaving her unsure of exactly what their relationship was, once they’d moved from long time friends to lovers. Then he gets caught up in some disastrous events, abandons her and breaks her heart. Dragged out by her best friend a month later she meets Oliver, and they embark on a whirlwind romance. He’s all she ever dreamed of, stable, adoring,romantic, all the things Smith wasn’t. Within a few brief months they are married. You can see once you know more about Effie just why Oliver appeals, it isn’t just that he’s the opposite of Smith in so many ways, but his whole lifestyle and family are what she always dreamed of as a child. Brought up always on the move by her single parent mum she doesn’t have any other family, and for the last decade or so she’s had only a sporadic contact with her mother. Thank goodness for her friends, Lou and Mickey – who are a couple, and of course Smith before their breakup….Now Smith has returned and somehow he’s back in her life, there at her friends meetings as he’s still close to Lou and Mickey, and now he’s even working in the same place as her…. Her perfect marriage is showing signs of wear, Oliver’s care comes out in strange ways, she knows he only wants the best for her when he suggests the changes she needs to make though, of course he knows best, he’s come from that background. Lou isn’t so sure and soon its clear that Oliver doesn’t really approve of Effie’s friends. Its scary how clever people like him are, how they play on insecurities, how they use the “ I only want what’s best for you” and other excuses, making people feel in the wrong all the time. 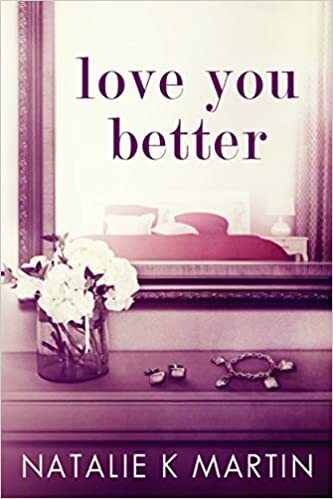 From our outside viewpoint it’s easy to see what’s happening, but Effie is living it and in many ways she understands he’s only doing this because he loves her, wants her to succeed…. Then there’s Smith, the bad boy, the man who broke her heart. He seems to have changed, but then things happen that make Effie think he’s the same old Smith, still flirting with danger, still full of lies. So why then when she’s with the perfect, adoring Oliver does she feel a bit oppressed by his insistence on her changing so much of her ways, why is she so attracted still to Smith who’s made it clear he didn’t want her, who told lies, who broke her heart? Its one of those reads where we can see what’s coming, but also see how Effie living it doesn’t. We’ve got the whole story, she’s only seeing parts of it. Its got some very agonising events in, things that sadly happen all too often in real life and I so felt for her. She’s a great girl, hardworking, loving and all she wants is a stable life with someone she loves. She thought she had that with Oliver, but he also seems to have another side that comes out more frequently. Smith seems to be around very often when she needs some help, and he seems very changed to the man that left. Is he though, or is it all part of his scheming? Poor Effie….confused or what? Its a realistic, very interesting read, showing how people are shaped by events and how we change over time and by what happens. I really enjoyed that part, seeing how all the characters were at the beginning and how they grew up when life got in their way. The characters felt so real, and the side story of Lou and Mickey was another part that felt very genuine and provided the catalyst for much of the later events. Stars: five, a terrific read.